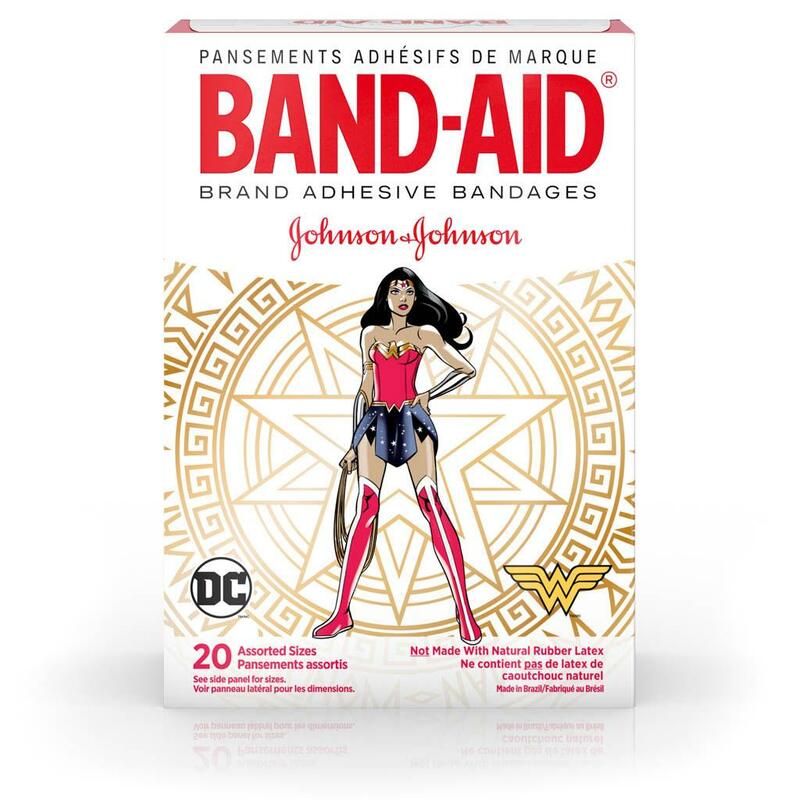 BAND-AID® Brand Adhesive Bandages, featuring DC Comics Wonder Woman designs, cover and protect minor cuts and scrapes with fun graphics from the animated series. 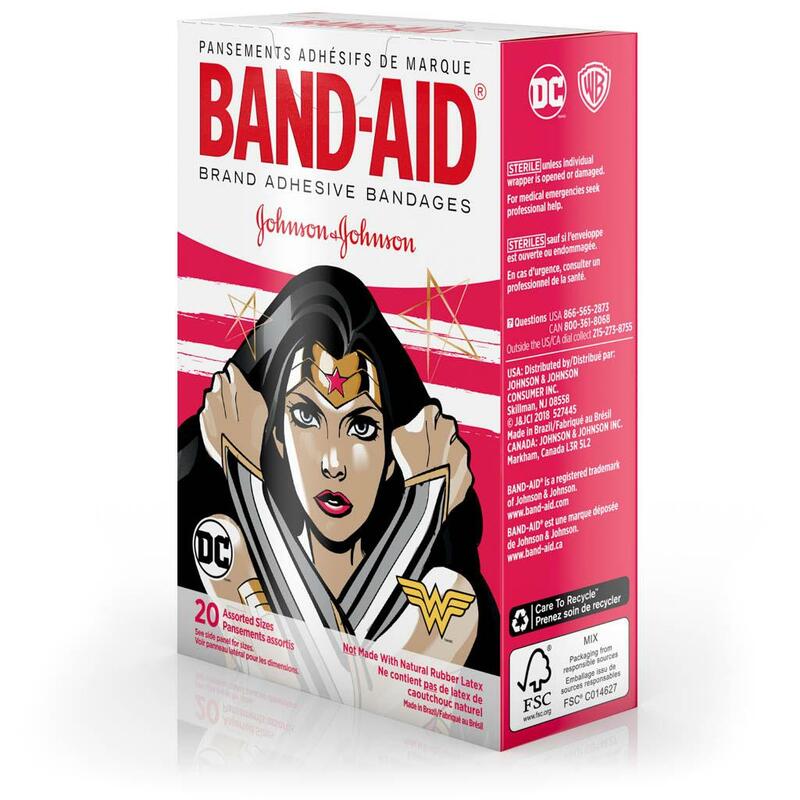 These sterile bandages come in assorted sizes with designs that include Wonder Woman. BAND-AID® Brand Bandages stick to the skin, not the wound. This package contains 20 sterile bandages in assorted sizes suitable for small wounds. My daughter loves princesses and these have been handy for us when we need to use them! I bought this product hoping to get an Ariel band aid, but to my dismay only got one Ariel out of the entire box!! I love Ariel so much and want her to be there for me when I'm hurt which is why i definitely would not recommend this product if you are looking for a specific princess!!! IT mad me very mad. How could you manufacture a set of paw patrol band-aids and leave out the main female character?! Shame on you and on Nickelodeon. I'm completely blind, autistic and have a heart condition I use the Mickey Mouse bandages to cheer me up after getting my blood drawn, because I don't like needles, so the Mickey Mouse bandages cheer me right up. The bandages stay stuck very well and do not come off. The adhesive is really good, which is good because I'm on blood thinners. I chose Mickey Mouse because I'm a fan of mice. My daughters (4 and 2) love the Disney Princesses, so I thought a box for each of them would make a great stocking stuffer. Imagine my surprise when I opened the box to find not a single usable large sized bandaid in the bunch! They had all been cut improperly, so instead of getting a single bandaid with wrapping edges sealed, there were two cut halves of different bandaids. I normally trust Johnson & Johnson products, so this was a big disappointment. Thank you for making us aware and we are sorry this happened. We would like to learn more about this, please call us at 1-866-565-2873. We're available M-F from 9AM-5:30PM ET. When you call, please share your reviewer name, hope to speak with you soon! I have an allergy to latex and have been bummed for years that I could never use the cute designs. 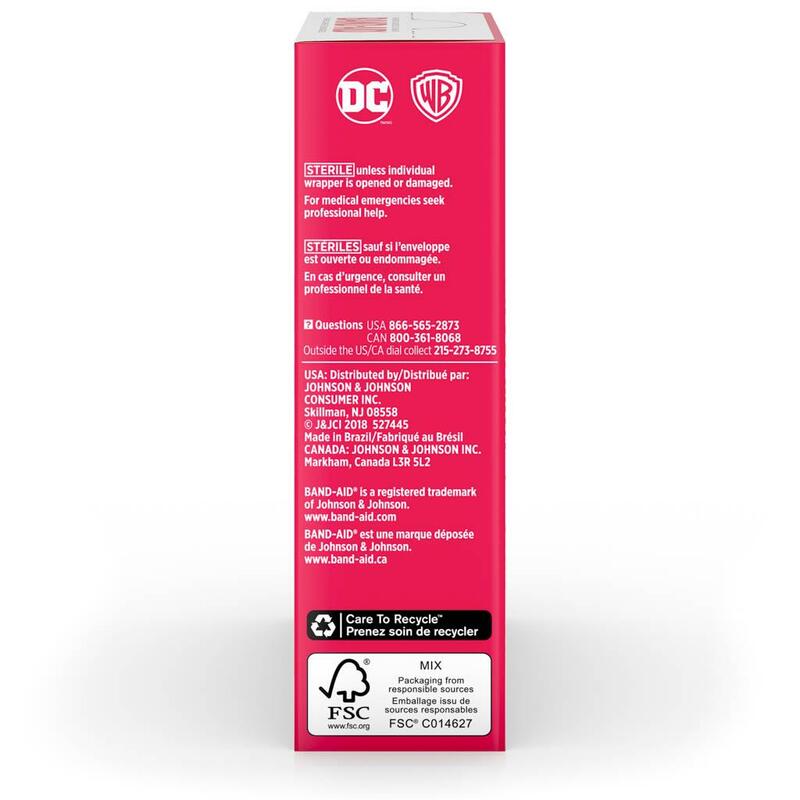 I was so happy when reading the box on the mickey design and noticed it was Not made with latex!! Yay I'm looking forward to purchasing more band aids!! Thank you!! We love these, well, my 3 year old daughter does anyway! They are perfect for those little cuts and scrapes and also to wear as an everyday accessory! They are sticky enough to stay on but not too sticky to upset the child while removing it. Overall, great product with many great designs!